Thanks for coming back to join me for our second Trending Thursday with Tara. 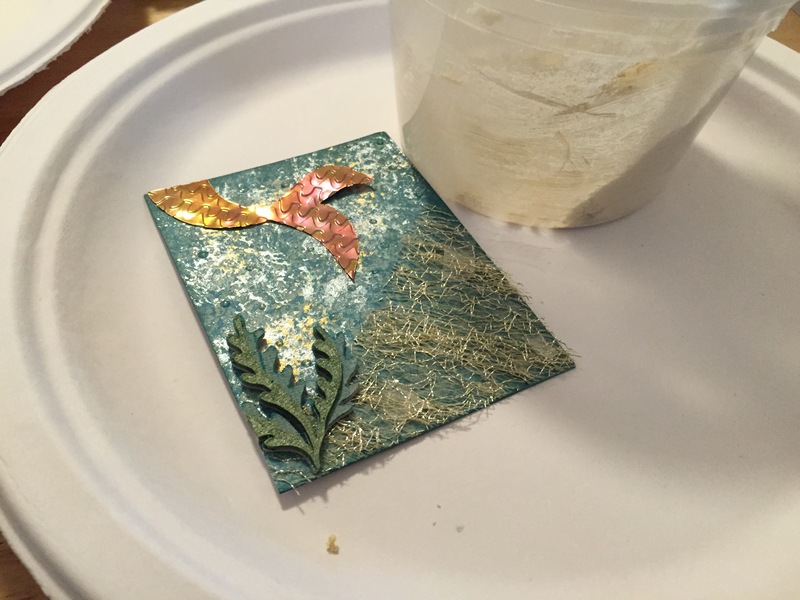 This week I am going to kick off a series building on texture pastes. There are so many things to do with it, and so many different styles I couldn’t possibly get them all into one post. 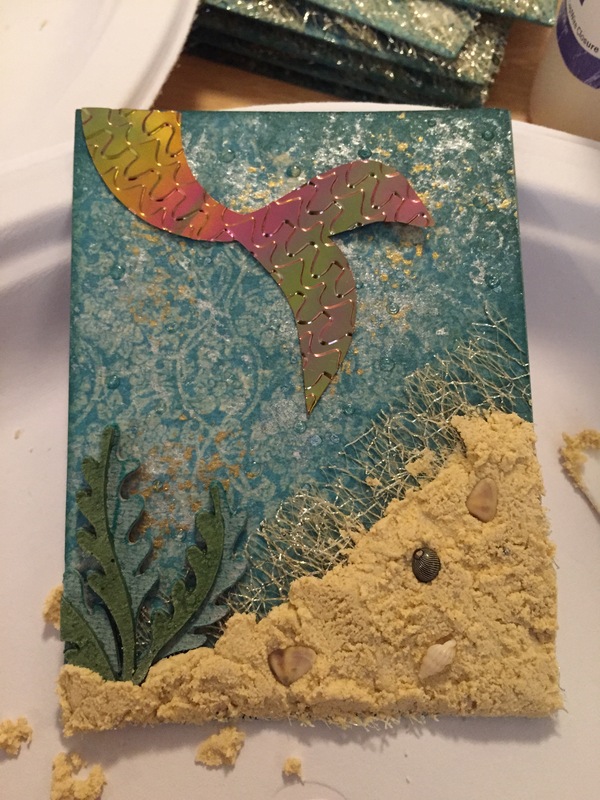 Today I am going to show you a special project of mine that I think is going work great for any beach scrap pages or cards you may want to make this summer. The supply list is small and quicker than my last but does have a slightly longer wait time for the finished product, but trust me it is worth it! I am going to finish my project off with a Honey Bee stamp so fitting you’d think it was made just for this card! 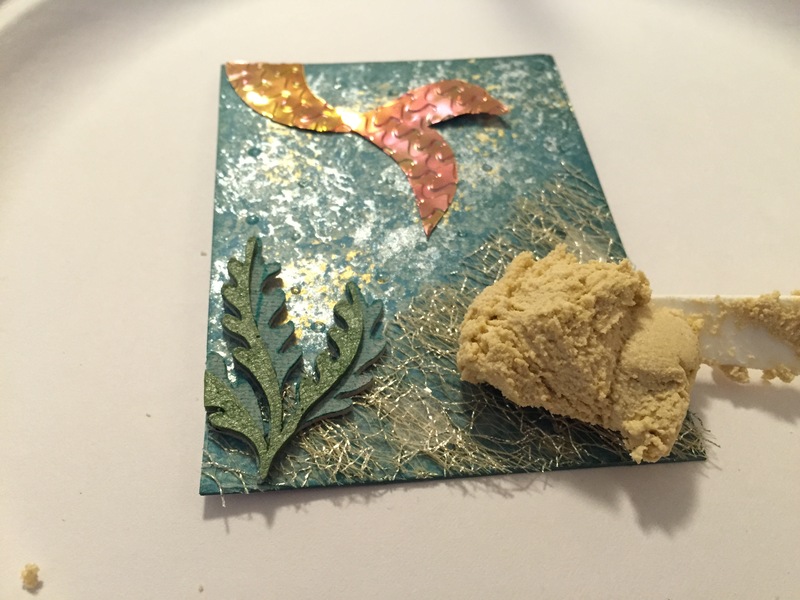 Craft Sand (I used Light Brown to give my project a sandy look, but if you wanted to create a dirt or mud look I would use a dark brown or mix of black and dark brown). Picture 3. 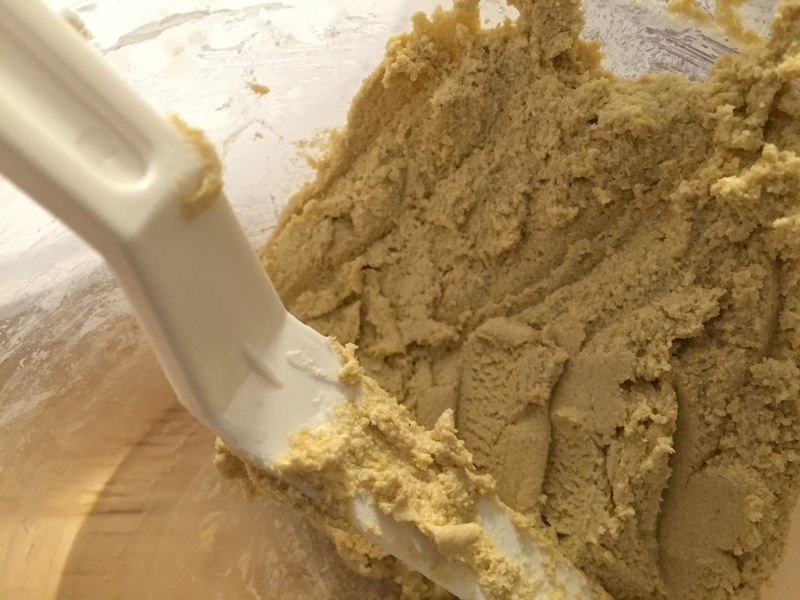 Scoop your desired amount of texture paste into your mixing bowl. 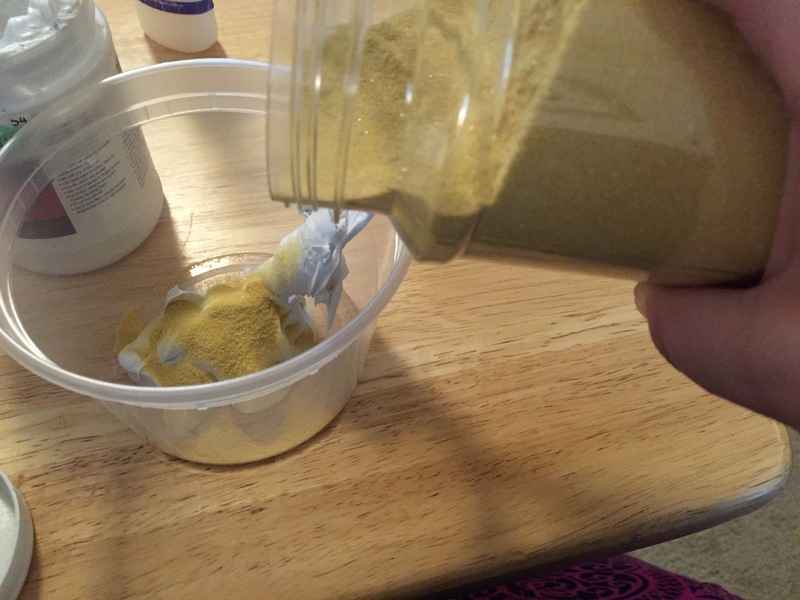 Remember when doing this your volume is going to grow because we are adding sand to the mix, so you don’t want to start with too much. Picture 4. Begin pouring your sand in. Picture 5. 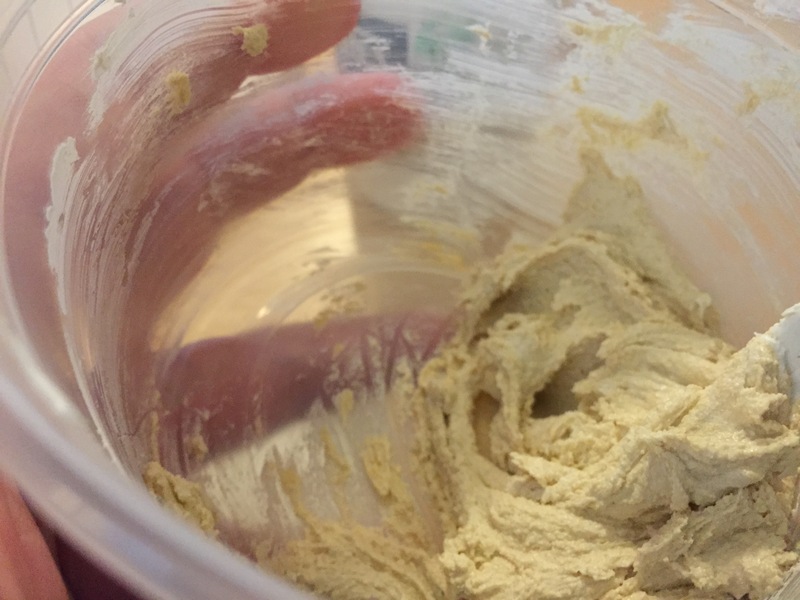 I like to start with a 50/50 amount of paste and sand to begin mixing with. 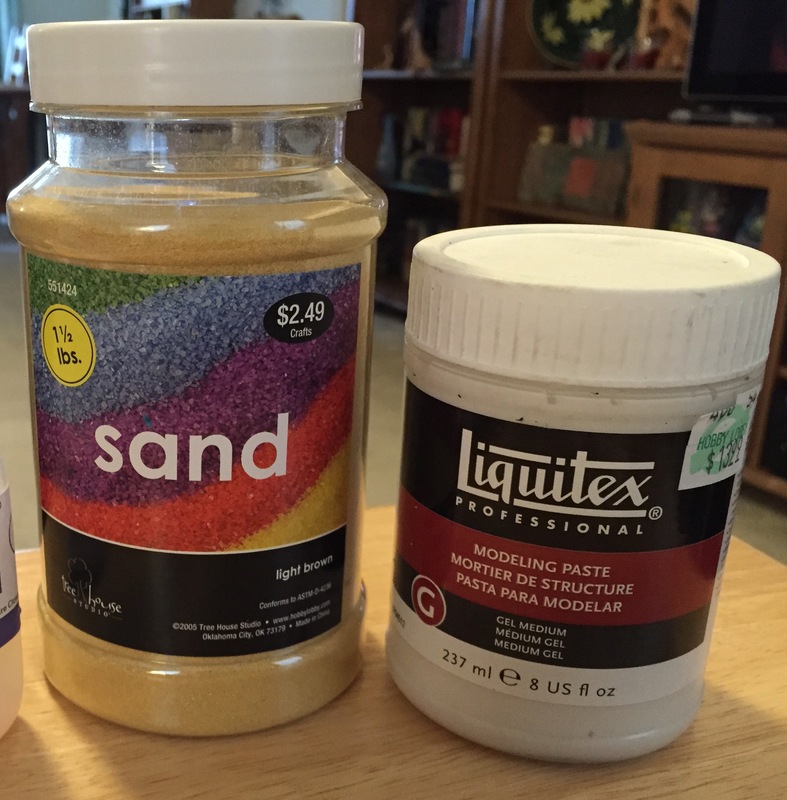 Remember if you need to add more sand that is easy. 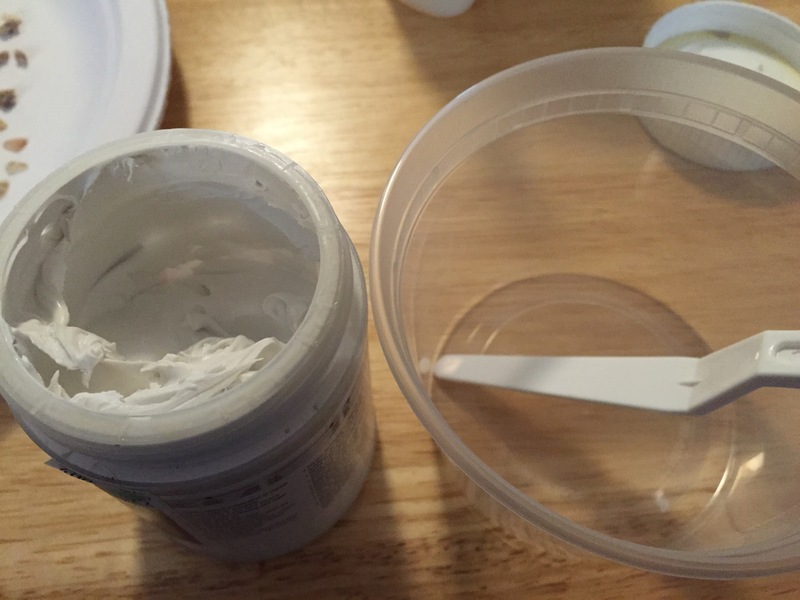 If you need to add more paste, you will want to do so with a clean utensil as you wouldn’t want to contaminate your paste with the sand grit. Picture 6. For the consistency to be right you want it to be rough but not chunky, if it has too much sand and won’t blend smoothly it isn’t going to stick when we apply it to the paper. Picture 7. 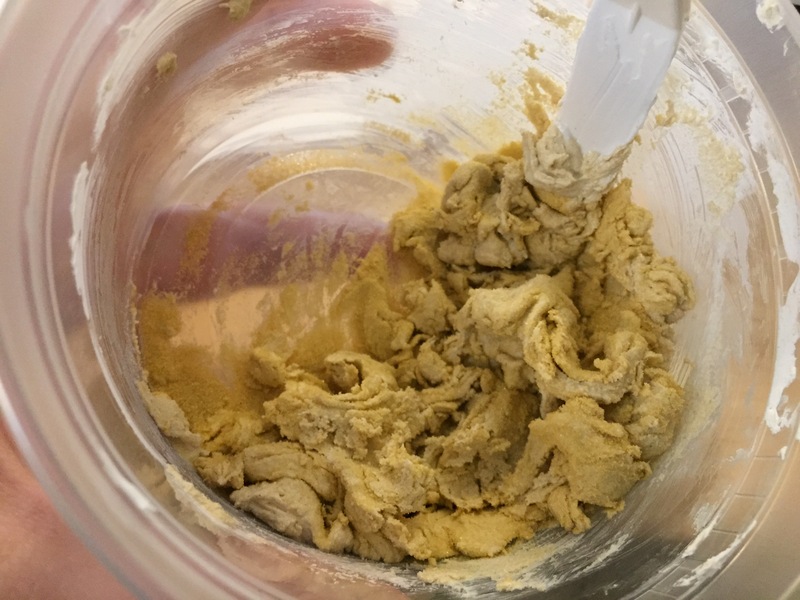 On the other hand you wouldn’t want your paste to be very smooth because then the finished product isn’t going to have the texture and look of sand. Picture 8. When you run your palette knife through the mix you want it to stay together but begin to feather this is when I knew I had the right consistency. It will stick together when applied but give us a natural textured sand appearance. Picture 9. 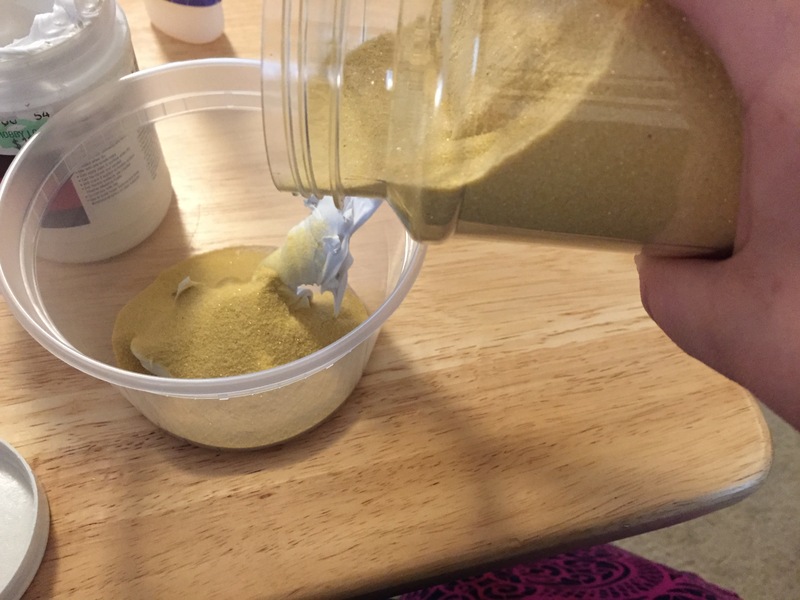 Begin to apply your sand to your project with scooping out a small spoonful of the mix, you won’t want it to thick as it will become very heavy and take much longer to dry. Picture 10. Smooth it around with your palette knife. I found turning the project upside down and working my sand up worked much easier than starting from the bottom and pushing the sand up. Picture 11. Once the sand is smoothed out to the thickness and texture you desire it is now time to add any embellishments. 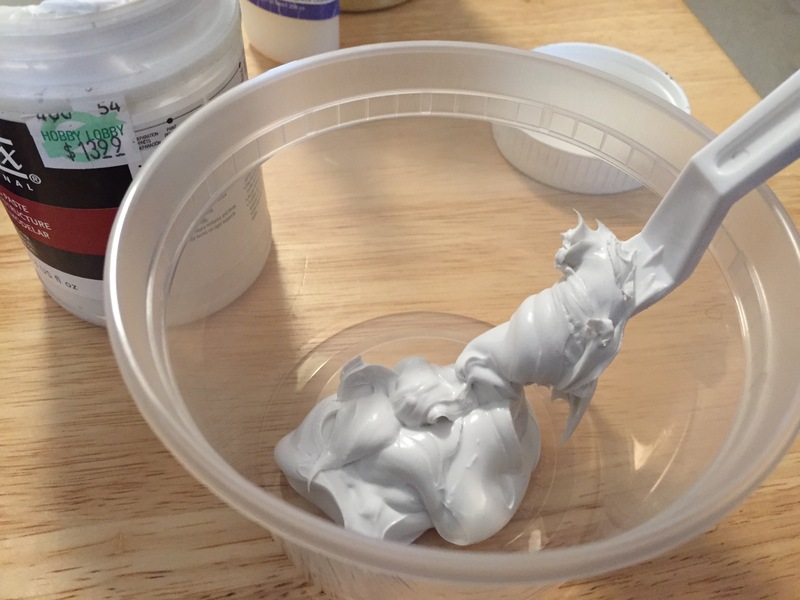 Adding them now allows you to push them into the paste so that when it dries it looks natural instead of something glued on top of the sand your item will have a natural look and depth to it. **Dry Time** I highly recommend letting it dry fully overnight. Although the product dries to the touch within an hour or so you can still damage it because it isn’t dry throughout. Picture 12. Almost Finished. Doesn’t that texture look real? Picture 13. Stamp Added and Project complete! 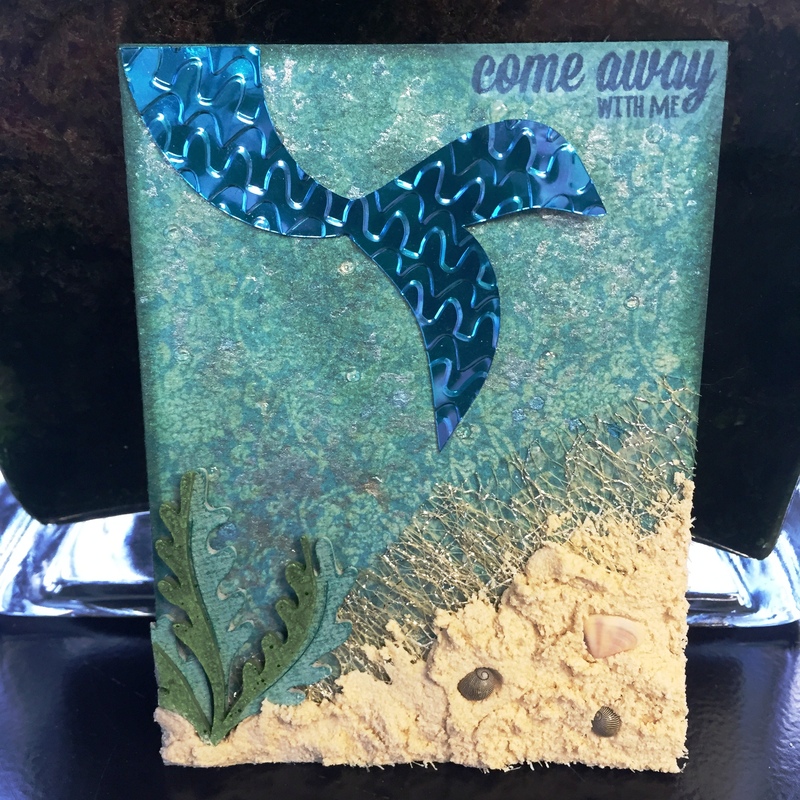 The “Come Away With Me” is from the “No Place Like Home” stamp set! 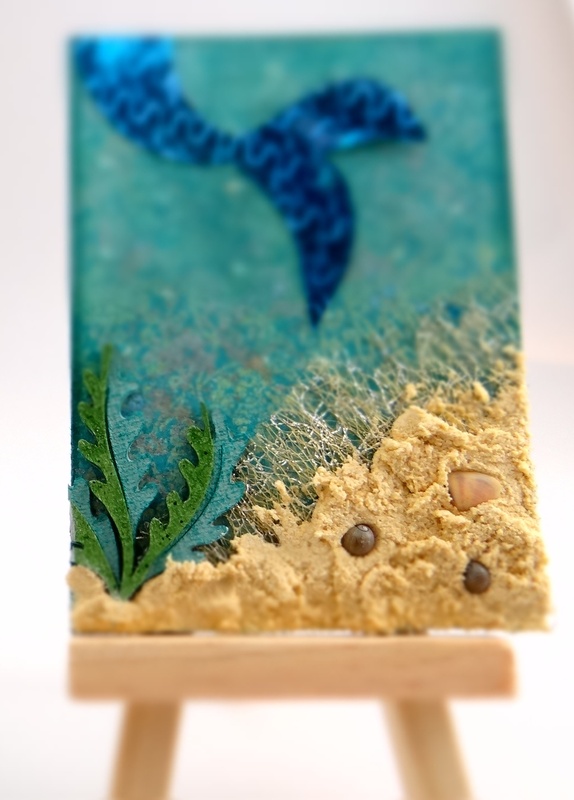 I loved creating this project and using so many different materials and textures, The sand added a unique element and used an item that is already trendy for adding texture and depth to pieces and raised it up to the next level. Join me next week for another Trending Thursday, until then Keep on Crafting!